Please Note: A new section for the math videos has been added. Further information available at: ASMR Math: Introduction and Table of Contents. On this site, in the left hand column, under the Table of Contents. The videos and related content is being organized into three main subcategories: The Language of Mathematics, Math in Real Life, and ASMR Math. However, for ease of reference and since I plan on creating a curriculum, I’ve now set up two additional sites containing the math related material (Note: videos for ASMR Math will only be available on chycho). See below. 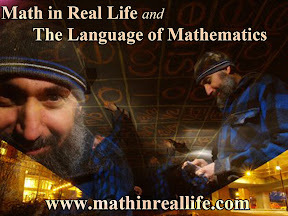 Through www.mathinreallife.com, a site exclusively dedicated to teaching mathematics, i.e., Only math related content will be posted. The site has been designed as an online video text book equipped with a pull down tree menu for the Table of Contents as well as the Index. The following video is a short tutorial on how to navigate the site. 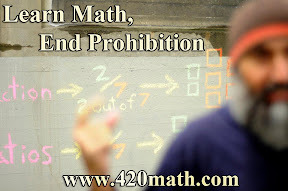 Through www.420math.com, a site dedicated to teaching mathematics and supporting organizations that are working towards ending prohibition. 420math will contain content related to mathematics, mirroring everything from mathinreallife.com, as well as content related to ending prohibition. The site has been designed as an online video text book equipped with a pull down tree menu for the Table of Contents and the Index. The following video is a short tutorial on how to navigate the site.